Added on May 3, 2010 by Adrian+Shane. 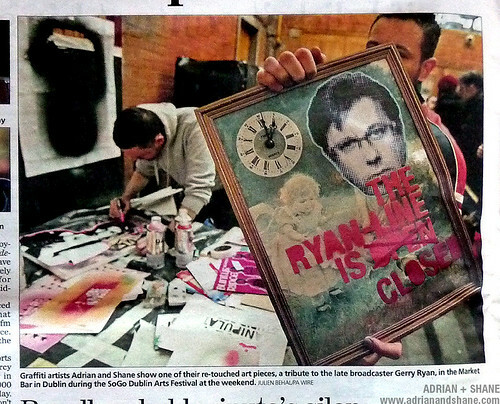 A photo of Adrian + Shane taken at 'The Antics Rogue Show' last Saturday appears in today's Irish Independent. 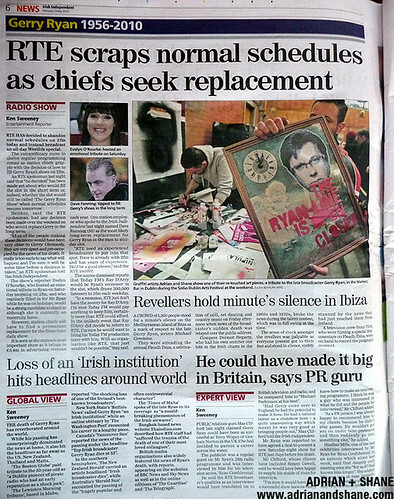 In "Gerry Ryan", "adrian + shane", "antics rogue show", "art", "artist", "dublin", "graffiti", "irish independent", "newspaper", "radio", "rte", "stencil", "stenciling", "streetart"